We think learning to drive should be fun and stress free. That's why we have a no shouting policy. Creating a learning environment like this starts with us and our instructors. Which is why our instructors get that little bit extra training above the standard you'll usually see out there. As a student you are only as good as the training you receive and that training has to be catered to your individual needs. And this is exactly where the expertise of our driving instructors is focused. 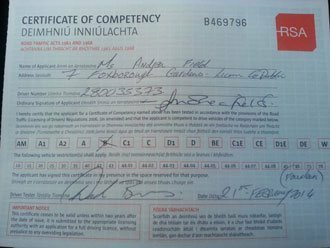 You, your needs and affordable quality driving lessons in Macroom. 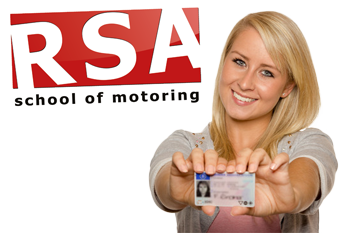 No other Macroom Driving Schools offer free material like ours. Many of our pupils have even attributed it to their fast progress and development. Covering vital driving skills like driving at night, road positioning and traffic progression this training is like having your own driving instructor with you 24/7. When we were in school we all had our favorite teachers, the ones that engaged us and made learning fun. And we can recall the bad teachers that had no business teaching anyone. Not all teachers are made equal and that is certainly no less real with approved driving instructors. It's not as simple as Googling 'Driving Lessons Macroom' and choosing the first driving school you find. Who can you trust to offer you that fun and engaging experience? 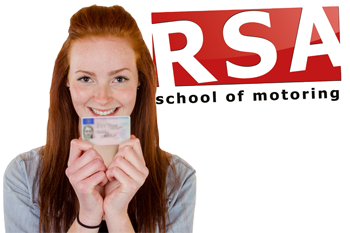 We have helped hundreds of learners pass the driving test so before you carry on your search we encourage you to consider RSA School of Motoring for your driving lessons in Macroom. Let us show you why. The skill of driving safely and the art of passing the driving test should not be confused as the same. Long before sitting the driving test you should have the necessary skills and understanding to drive without putting your life or the lives of others in danger. Pretest training is about understanding the driving test itself and how you can beat it. 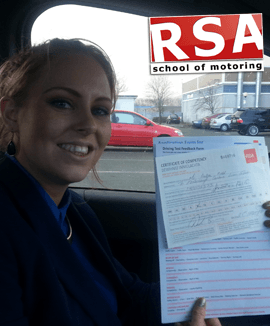 Driving automatic is becoming increasingly more popular and we are happy to say that we can offer all our students automatic driving lessons anywhere in Macroom. Book your automatic driving lessons with us today. Look no further. We have female driving instructors all over Macroom. Don’t believe the myth about female drivers. 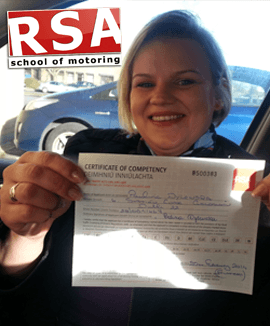 Our female driving instructors are some of the best instructors in not just Macroom but Ireland. Book your lessons now. In busy times like these we all want convenience and flexibility and this is no less true with taking driving lessons. Which is why we can start and end your driving lessons from wherever you want be it your Macroom home or place of work. Teaching you to drive would be our absolute pleasure. Go on... give us a call now and let's get you booked in for your Macroom driving lessons today. You won't be disappointed.